Over the past decade, the Florida legislature and economy have pulled back $168 million from our Alachua County school facilities, while our local population has continued to grow. This has left our schools underfunded, unsupported, and in drastic need of new money for investments. 16 of 20 elementary schools are at or above 95% capacity (12 are over 100% capacity). Over 6000 students are in over 300 portables. Many schools lack reliable HVAC units, have leaky roofs, or have outdated property that needs replacement in order to ensure a safe and adequate educational environment. Many elementary school children begin lunch before 10 am because cafeterias are not large enough to hold them during a reasonable lunch time period. When ACCPTA was formed in 2016, board members visited nearly all principals of Alachua County schools to ask about what matters to them and their school communities. Facilities was brought up in almost every discussion. During the 2017/2018 academic year, representatives from Alachua County Public Schools and ACCPTA traveled to every public school in Alachua County to gather feedback regarding facilities needs. School stakeholders were also asked to complete a survey to provide their perception of facilities needs at their school. 1,215 respondents replied, identifying needs such as non-working bathrooms, leaky roofs, and over-capacity and outdated science labs. Other requests included: rooftops to cover pathways between school buildings so children don’t get wet during inclement weather, parking lot safety improvements, and security concerns due to deteriorating buildings. 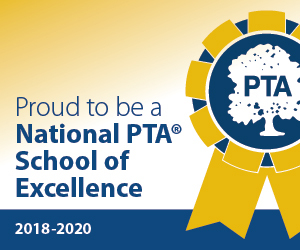 In June 2018, Alachua County Advocates PTA conducted a survey of PTA members and the broader school community. 72% of over 200 respondents indicated that facilities are one of the most important areas in need of improvement in their school. in Alachua County. The half cent sales tax will contribute to this goal by ensuring our school facilities are adequate, safe and up-to-date.